The lovely folks at Born Pretty Store kindly sent me over THE cutest nail dryer to try out last month! It's in the shape of a monkey! I polish my nails late at night so a nail dryer is a must for me or else it takes forever to do my nails. I currently use one by Manicare (you can see it in my nail storage post here) which has served me well for many years. 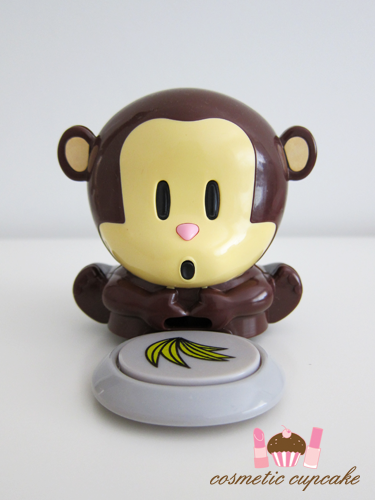 The dryer is in the shape of a monkey (obviously) and has a small grey disc with a bunch of bananas painted on it. It runs on 2AA batteries (which are not included) that go in the back. To use it, you place 2-3 fingers on the grey disc and press down lightly. The air blows from a small hole just above the disc which I've circled in the pic below (where the monkeys hands meet) and not from the mouth like you'd expect. Overall: Because the air blows from such a low point, I don't find the dryer really all that effective. The angle just isn't enough to dry more than one finger and the fan is not that strong either. 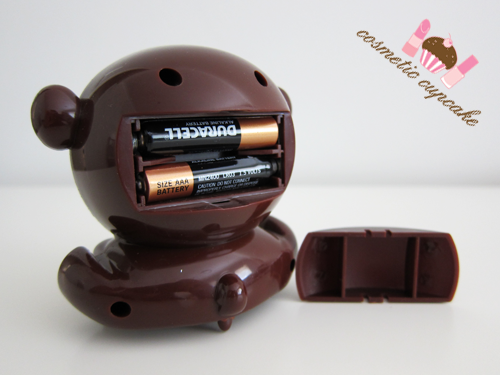 However, is this not the most adorable nail dryer you've seen?! My sister is born in the Year of the Monkey and although she doesn't like polish she tried to claim the dryer as soon as I opened the package lol xp I help run a mother's group at work and one of the little girls that attends LOVES nail polish so I paint her nails whenever she goes to the group. I brought the dryer in one week and she actually stood still for her nails to "dry"! Do you use a nail dryer? Thanks for looking as always! Don't forget to enter my Hello Kitty Cosmetics giveaway here! I am always denting my nail polish if I don't use quick dry top coat and a nail dryer!! I'm like a kid and can't sit still haha. Definitely look into a nail dryer! 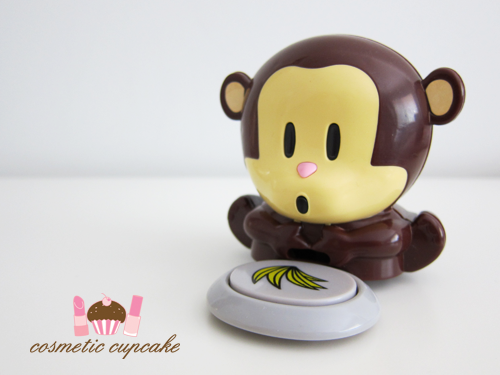 I find monkey stuff is always cute! I wish it worked a bit better but it's very adorable! lol, omg, this is so cute! nice to find your blog!